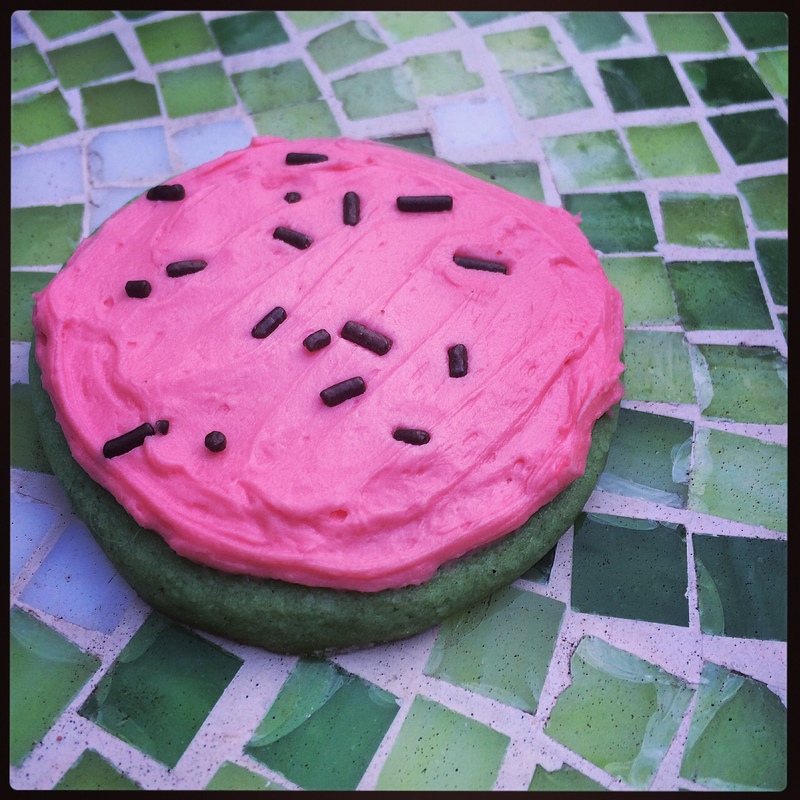 So, here we go – Summer sugar cookies! The next few months are going to be super fun, I can’t wait to show you! In a large stand mixer fitted with a paddle attachment, cream the butter and sugar. Add the egg and vanilla, mix thoroughly. Add sour cream, mix thoroughly. 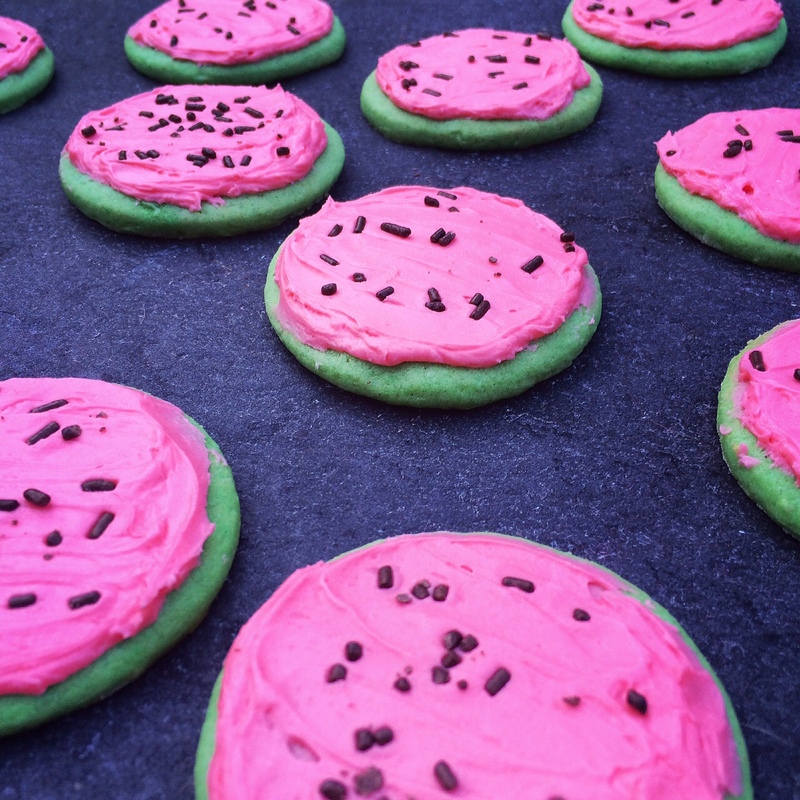 Add a few drops of green food coloring until you get to a good watermelon hue of green. On a clean, floured surface, roll out the dough with a rolling pin. Roll the dough so it’s about 1/4 – 1/2 inch thick, and use your favorite cookie cutters to cut out shapes of the dough. For these cookies, I used a stemless wine glass to cut out perfect cirlces. Use a cookie spatula (better known as a pancake flipper) to move your cookies from the floured surface to a well greased baking sheet. Ungreased silicone baking sheet liners work great here too. Combine butter, salt, vanilla, and 1 cup of the powdered sugar. Add milk and remaining sugar, alternately. Mix until smooth & creamy. 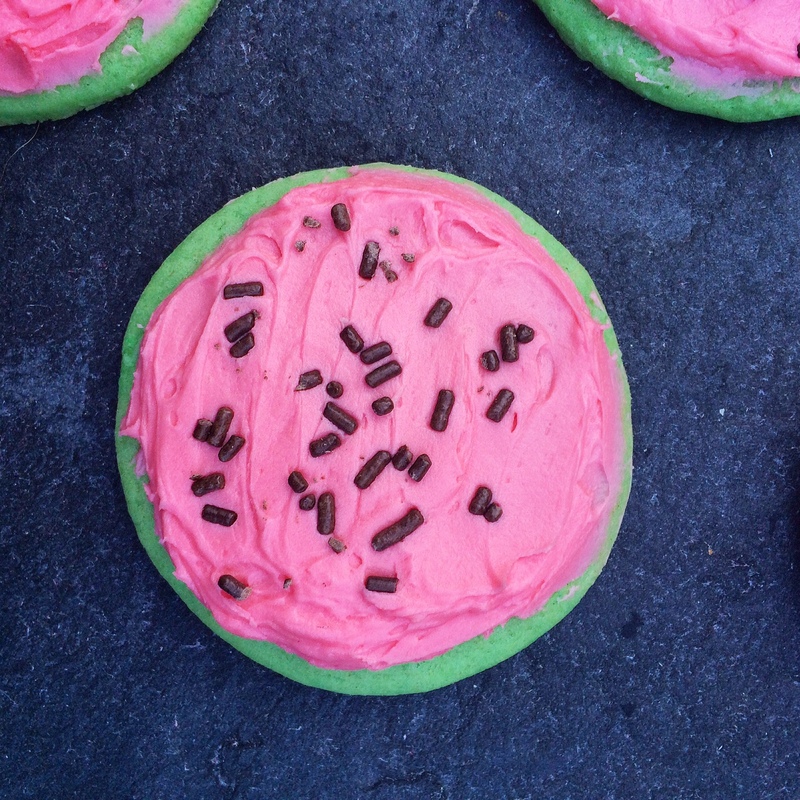 Add a few drops of food coloring until you get to your desired hue of watermelon pink! 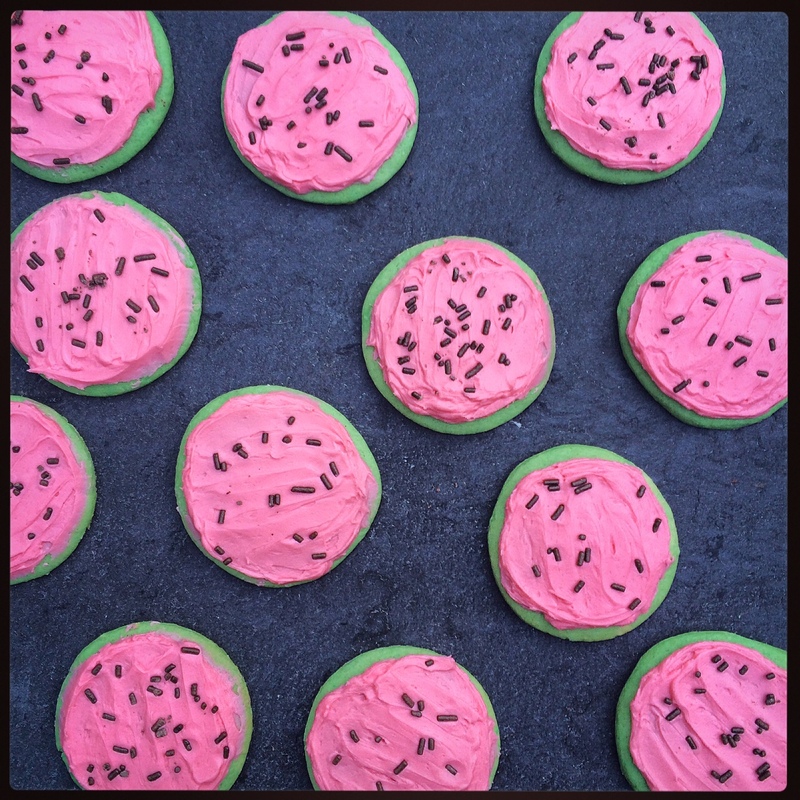 Frost the cooled cookies and immediately add some chocolate sprinkles to give you the look of watermelon seeds. Cookies keep well in the fridge for a up to a week, a few days at room temperature. Enjoy!